Review 13 games and receive a total of 980 positive review ratings. You have cards 1 to 100. All you have to do is play them in order. For one player it would be simple but with 2 to 4 player it is more complex. You try to read other players faces or reactions to play your lowest card at the correct time. The play to the right just played a 60 and you have 67 in your hand in a 4 player game. Do you play your 67 and hope none of the other 3 players have 61 through 66. This is the dilemma in the game, what the other players are holding. Dumb luck is a big factor in this game but it is fun and move quickly. No strategy just fun. I am not going to explain how to play the game. ClubFantasci and mish666uk have already done that. I was first introduced to this game about 6 months ago at a meetup game night. I had never seen or heard of the game. I fell in love with the game. It was very easy to learn. We played with 4 players and the the play moved quickly. Because the dice are rolled and placed at the beginning of each game it has great replay-ability. You simply move around the board in one direction picking up goods in farms and delivering goods to a village. There is some strategy based on the cards you hold and the cards showing that make up the list of items to be delivered. There are 8 different goods and 5 villages. Yes the cubes do not fit on the carts but the person who brought the game told us to keep the cubes collected on our player boards. So it was never an issue for me. The dice are wooden the other parts of the game are of good quality. I read the rules after I played the game so they were clear and easy to follow. After playing it that first time I was able to find it on line at Miniature Market and ordered it. I have played it several times since I purchased it and have enjoyed it each time. If you are looking for a easy to learn game with some depth this is the game for you. If you get a chance to play it do so it will make you a fan. I usually do not review games that have a lot of reviews but this game is near and dear to my heart. Prior to my reawakening to board games about 5 years ago my daughter pulled out this game as something we could play with the grandchildren rather than playing a card game we often played. The grandchildren loved it and my wife and I learned the game in about 5 minutes. This was one of the most fun afternoons we spent playing games. Later that week when remembering the fun I had playing Apples to Apples I started looking around at board games online and in stores. This led to me becoming an avid gamer again. This was something I did as a child and when we were first married and then again when our children were small. It got put on the back burner when the children went off to collage. To review the game I love it as you can see and it gets played often when we are not playing one of the new games I buy with the sole purpose of playing them with the grandchildren. I have not bought a copy not sure why maybe because I can play it with the grandchildren since they have a copy. I will not cover the rules or game play since may other have done that. I apologize if you do not this this is appropriate in the review section but it is something I wanted to share with the other members of my online game research group(this website). No matter what age or gamer type this is a game that everyone can enjoy. Writing this may have inspired me to get my own copy to play with fellow senior gamers. The goal is to collect victory points by controlling as many of the 6 districts of Venice. You can increase or lower the value of each region by placing bridges and gondolas. The playing order for each district is randomly assigned at the beginning of each game. This adds to the replay-ability. The game is played over 6 rounds with each round consisting of 3 phases. In each such phase, buildings of a certain color may be activated for their special abilities. To activate a special ability, a player needs to put one coin from his supply on one of his available buildings (see buildings below for types of buildings). Phase I: Each player gets 8 cards and keeps 7 of them. Players can activate green buildings to get or keep more cards. Phase II: The players play their cards over 6 stages to carry out actions A–F. They can activate yellow buildings to support these actions. Phase III: Players can activate blue buildings to gain those buildings’ benefits. A Doge – Move a space on Dodge track for each card played. Bonus: Move one more space. B Gold – Take 1 gold coin for each card. Bonus: Take 1 more gold coin. C Building – Take a building with a value equal to or lower to the number of cards played. Bonus Add 1 to the number of your cards. D Bridge – One VP for each card played. If none played lose 1 VP. Bonus: Place bridge on any open connection. E Gondola – Move councilmen from general supply to personal supply. Bonus: Place Gondola on any open connection. F Councilman – Place councilman from personal supply into current district for each card played. Bonus: add an additional Councilman to current district. THE BONUS is for the most of any card type played including the joker cards added to each card type. A building can be activated by placing a coin on it during the appropriate phase. At the end of each round all coins are removed from buildings and returned to general supply. Each player only has room for 7 buildings. The player can make room for a new building by returning a building to the general supply and receives the appropriate victory points for the returned building. The Doge track indicates the players’ influence on the Doge. When two or more counters occupy the same space on the Doge track, the order between them is from top to bottom. I love this worker placement, area control, city building game. It moves very quicklime once the players understand the flow. It takes about 2 round for this to happen. It is a little advanced for new players but they can get the flow if they watch it played before they try it themselves. When I bought this game I thought it would be one of my favorite games. I do like it but it needs a better mechanism for selecting machines to play each round. The idea of the game is to build a factory by adding machines that have input from 4 colors and output a different color than the input. You can then direct the out output from one machine to be a input for another machine or a output reservoir. When you are able to connect the output from one machine to another you get a bonus score chip. There are 4 different types of connector tiles with different paths on each side. These 8 connectors allow for any path to be taken to connect two machines including crossovers. The game is great as a solo game to see how high you can score and is ok with 2-4 players. My reason for the ok comment is the mechanism to select a tile. Quote from rules: One player slowly counts down 3 2 1 TURN. When TURN is called all Players pick one machine tile from among all those just turned with his turning hand. This process is chaos. You do not have time to look at the machine before others just grab your tile to hurt you because they think you selected a good machine. This machine could have been good for you but it may hurt them rather then help them. We have tried several ways to change this mechanism but have not found one that works well. The game gives each player a two sided game board (expert & classic) and columns to place on the board to make connecting machines more difficult. The components are good quality and the are work is good. Love the game idea and still working on a way to select the machines. A new version of the game was offered on kickstrater but I just cold not buy it because of the issues I mentioned. Easy to learn quick to play. Small box good for travel. There are many ways to score. The game has a lot of depth. Easy rules. Nice large easy to read dice how ever the numbers are in Japanese. You will get used to it in a few games. Simply stack the dice on top of each other roll 3 place 2 at a time with the same or progressively higher numbers. This press your luck game will challenge players of any level. Try this one and you will like. I love this game. I have played it with my grandchildren, my gaming group and my Senior friends. Everyone who played enjoyed the game. Game-play is simple: place tiles to gain lanterns, turn in sets of lanterns to get scoring point markers. The most points at the end of the game wins. The point tokens are arraigned in descending order so those who collect them early in the game earn more points. This 2-4 player game moves quickly but has a high level of strategy to get the most points for each tile placement. My wife and I have this in our travel bag of games and have played it on several vacations. Good filler game or gateway game. If you get a chance to play take it. I am sure you will enjoy it as much as I do. The rules and the components are overwhelming when you first see them. We played this last night with 5 players who have never played the game. 1 person had read the rules and 1 other had seen reviews. We did a test play-through of one round after the rules were explained. I was totally confused. After two actual rounds I understood the goals and the mechanics of playing the game. I came in third of the five who played. The game is a good balance of worker placement and dice rolling. Each round hidden behind a screen you place you dice on a board that has figures that match the 5 phases. You all reveal at once. Each player then selects one phase that they want to occur this round. I was surprised with 5 players how often only two or three phases were chosen. There are other placement options see the rules. You gain more power, dice and options with each Technology you develop and World you settle. Since you take each of the 5 phases as a group and then move onto the next phase there is a lot of table talk and sharing what you are doing. The play is quick and there is little down time because you need to watch what others are doing so you can guess what Phase they will select the next round. I love the game. Other reviews I have seen on the game do not do it justice(not on this site). Under 1 hour with players who have played it before 1.5 hours for first time players. Try it you will become a fan. Drawing from a row of cards containing 1 truck card and 1 Men of Action card for each player in the game. The person who played the muscle card goes first and so on until all players have selected a Men of Action card or truck card. Muscle cards are used for bidding for Truck and Men of Action cards during the Muscle phase and also for resolving priority conflicts in all other phases. Prices vary based on the number: for example, cards numbered 1-12 cost $0 to play, 13-27 cost $1G, 28-45 cost $2G, etc. Cards are divided into 4 subdecks (1-18, 19-36, 37-54, 55-72) with unique faces per subdeck, but identical backs. Men of Action cards can improve still production, build secondary stills , Improve speakeasy or Be general Thug cards that effect everything in the game. Who gets to sell is determined by who has the most Mobsters located at each speakeasy. 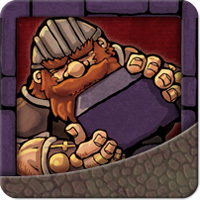 See rules at http://www.goblins.net//sites/default/files/downloads/9/0/Bootleggers_manual_r1%5B1%5D.pdf for more details. Roll still production dice to determine how much whisky is produced this round. You can sell extra whisky to other players or store it your warehouse until the next round. The most profit is to deliver it to a speakeasy and get paid for it but there will be risks involved in doing this. The bigger Speakeasies turn a better profit for the Mobster in charge, but the smallest Speakeasy in town O’Malley’s Dry goods is always open. Thug cards can effect how smooth the deliver goes. Payment is determined by control based on how may mobsters you have at any given speakeasy and the thug cards played by you and others. The Copper is moved to the play that rolled the highest production at their family still and production on that still will be 0 the next round. This is a great game with a log going on and many paths to victory. I have seen people win by getting the most trucks and other win by control of the speakeasy and others win by build and improving their stills. The game is a balancing act and you need to have some commitment to several areas to win the game. New and young players may have a problem grasping all the areas of the game but after several plays they seam to get the concept and enjoy the game. The game plays 12 rounds and takes about 90-120 minutes to play for 3-6 players. Let’s start by saying it is very hard to get most flux games to the table at my weekly gaming meetup. It is brought by many people but never seems to get to the table. So I never played it until this week when I bought it and played it with my wife. The game is very easy to learn and moves quickly. With the end of game requirement and the play rules constantly changing it has great replay-ability. The game is played by 2-6 players trying to meet the current requirement to end the game while dealing with other players modifying the rules in almost every round. The batman theme makes the game a favorite for me and the fact that 6 players can play means I can play it with my Grandchildren and their parents. I am not sure this game will go over with my senior citizens friends that play games with my wife and I. The nature of the rules changing may be frustrating to them. After playing the game I am confused why it is so hard to get to the table at our gaming nights. Clear and easy to learn. Once you know any Fluxx you know all Fluxx games. Just new themes. My goal is to get you interested in playing the game not to teach you how to play the game. I played Age of empires III and fortunately Age of discovery was being offered on Kickstarter shortly after that. So I bought it and most of this review will be for Age of discovery which is still available Age of Empires III is out of print and will not be reproduced. That being said, this is a worker placement area control game. I own several big box sets and this game It is the heaviest box of all the games I own. I bought it on kickstarter and took all the options. This gave me additional miniature sets and metal coins and some expansions. A total of 10 Merchant Ships available. The game is broken down into three phases with different building coming out in each phase. Scoring is done through the game and end of game scoring. In the earlier version some people complained about not being able to tell miniatures apart. So they added different shaped bases for similar shaped pieces. I never has a problem with this. After players get the flow of the game play moves very quickly as long as players plan ahead. There is a lot to this game and playing it several times will give you a better chance of winning. However I won the previous version of the game the first time I played against 2 people who had played the game 10 times or more and two avid gamers who had not played before like me. This game has everything a serious gamer could want. I love worker placement and area control games so it is one of my favorites. The components are of the highest quality and there is a lot of them. It is hard to get on the table in my weekly meetup group because of the time it takes to complete a game. 90 to 120 minutes play time. Add some time for first time players. It is a big investment but I feel it is worth it. If you get a chance to play do so I am sure you will become a fan. I love this game and can not wait to introduce it to others. In this drafting game you will place two tiles rather than one on each turn because you will use one to build with the player on your right and the other to play with the player on your left. You must keep a balance while trying to build the best TWO cities not just the best city. The value of the sets grow exponentially and placement becomes much harder in later rounds because certain tiles may not be able to be placed next to another or they have more points if placed in groups. In addition duplex tiles are used in round 2. There are 3 rounds to fill a 4 x 4 grid with 16 tiles for each city. See rule book pages 4-5 for an explanation of each. This game is a semi-cooperative. You have two separate cooperatives going at a time but your goal is to make them both the highest scoring. The winner is the person that has the most points after using the lowest score of the cities they have with the partner on the right and on the left. It is tile laying, it is drafting with some cooperative features. I got it on Kickstarter and I was proud to help bring it to market. It has come to the table during our weekly meetup gaming group several times. The feedback I received from the other players is that they also enjoyed the game. I highly recommend it. One of the best parts is that it can be played with 3-7 players. There is also a two player version and a solo version. Give it a try I am sure you will enjoy it. I am not a fan of love letters but you need to have it in your collection to show new gamers and use as a filler in between games or waiting for stranglers to show up on game night. So when the Batman version came to market I snatched it up. I like to be different. It is very easy to learn and I have the clam shell version so it travels well in the bag that comes with it. I find it best for 3-4 players and will avoid playing it with 2 players if I can. If you have a game collection one of the Love letters versions is a must to own. I like this version because it is not just another love letter it is BATMAN love letter. SO I do not cover what has already been covered in other reviews here is my take on the game. I love Power Grid. I have played it with several of my avid gamer friends. However I was never able to get it on the table at my weekly game meetup. After discussing the reasons for this we all agreed it took too long to play the game. After some investigation we discovered Power Grid: Benelux/Central Europe which can be completed in 60-90 min. The base game took 120+ to complete with 3-4 players. This is a must own and must play for any serious gamers. Spend the extra money for the Power Grid: Benelux/Central Europe extension board and enjoy the game with a much wider group of people. During the game play you need to watch what others are taking over so you do not bet boxed in until the next phase. The order the cards come up adds some luck to the game but it does not impact the overall play of the game. It is more important to watch what resources are available for the plants you plan to build and their related cost. I have not played with the other expansions but I plan to do so later this year. Load up your rocket ships and try and conquer your favorite section of Mars on this area control game. There are many nuances in this game like controlling the use of the deck of cards that is identical for each player. While deciding when to strategically refresh your deck with your discard pile of used cards. You can change the destinations of a rocket ship to divert it away from an area you control or to complicate the strategy of another player by use of a card. Each play starts with a hidden goal card for end of game scoring and more can be added during the game. To get ready for one of the scoring rounds you need to plan to move astronauts from one section to another to gain control and score more points. I love the second edition much better because of the new features listed above but most of all for the 6th and 2 player feature. The people who love the first version do so becasue of the artwork and that they already own it. Both versions of this game come to the table at my weekly meetup game night and some times we have more than one being played at a time. Several member own the game and multiple copies are available to play on any give night. I have played this wit my grandchildren ages 10-14, friend of all ages and my game group of new to serious gamers(someone who plays more than 3 games a week). They all love it! It has great replay-ability and several strategies in using the cards to gain control of an area. After playing the original version and then the second edition with someone who purchased it at Gencon I could not wait for my pre-order to be shipped. Try if if you get a chance and see if you to become a fan. The premise of the game is you are building a city in a 5 by 6 grid. Rows are colors columns are numbers on a 6 sided dice(see above picture in game description). Each player gets a player board as described above and 5 different colored dice to match the colors on the side of each row. There are four categories of cards that you can purchase to improve your city. Harvest resources locations: Which are always available until they run our. Advanced location cards: They are displayed for purchase 8 at a time. Bandits: The amounts vary based on number of players. Attack and defeat to score VPs. Trade ships: Purchase using recourse to collect VPs. A turn consist of Rolling dice then assigning them to the proper row and column. Collecting resources or other benefits form the card where dice landed. Then using the resources to purchase harvest cards, advanced cards and or trade ship to increase the production or military value of the town. You can also use military to attack bandits or other play res cities. Dice can be used for various other tasks which are covered in the rules. There are several ways for the game to end. Such as depleting multiple stacks in the 4 categories describe above or by filling a row with harvest resources cards or advanced city cards. Good for all ages and very easy to teach. The game moves very fast after the initial few rounds where new players are learning the game. Great replay-ability becasue the advanced cards come up in a different order and the ability to place them anywhere on the board. The randomness of the dice roll also adds to this. End game scoring involves bonuses for completion of rows and bonuses form many of the advanced cards. You are building a pyramid of cards with each level being worth more points and of course costing you more to build. I have played it with 2, 3 and 4 players. It plays well in all 3 formats. It consists of 18 rounds of negotiating for cards and then paying to put them in play for a cost based on the level where they are placed. This allows the same card to have different value to each play depending where they plan to place them. I have played it with my wife who is a very casual player, and my gaming gorp which is a mix of casual to heavy gamers. They all enjoyed the game and have replayed several times. This could be used as a family game if you allow for kindness to the children during the negotiating for cards phase of the game. It can get cutthroat if do not set some house rules. This is cased by lying about which card you are going for in table talk that gos on before you commit to the card you want. The table talk is encouraged in the rules. The only complaint I have about the game is that I had to sleeve the cards because they began to fray after 10 plays. It works well with the sleeved cards. Very good replay ability. Some luck on bidding for cards and the order they come up. Many ways to score victory points. Build higher rather than wider on you pyramid. More points and items on higher levels. Every chance you get keep upgrading your status. To get more money and dice so you can add more card later in the game. One strategy is to have more cards and build the largest pyrmid. Thighs will not always win but it will help you stay in the running and win more than other strategies. If a card with a low number comes up it could be worth more to you. It could be used later to win any ties. Remember to look at other players cards. If they already have a 1 or 2 there is no sense in overpaying for a 3 or 4 unless it really improves your hand. Replace the top row and the bottom row with Lumber yard and Quarry cards this gives you 2 harvest items every time from the white and black dice. Recently watching a review of this expansion the reviewer stated that you cannot store the expansion in the main game box. This is wrong simply lift out the plastic sleeve and put the expansion under the sleeve and if fits just fine. I play games with 3 type of groups. Serious gamers, senior citizens and grandchildren. For Senior citizens and grandchildren I find that sometimes altering the rules makes it more fun for them. In this game we play that the card you are laying down must match the exact number of the cards you pick up. All cards matching the color are still picked up and laid face down in front of you. This variation seems to make it easier the first few times they play the game. We also count all cards in your hand for scoring at the end of the game not just two cards. After we play several times I give them the option of playing with this rule or the actual rule where you pick up all cards that are the same number or lower. All the above rules only apply to the cards that have a position in line equal to or lower than the number on the card you just played. To expand the game for more players we have used the following method. Go to meeplesource.com buy additional colors in meeple sets. Use any expansion tiles just as additional tiles. Do not use the special effects of the expansion. This works well for large groups. In our meetup we only played 7 wonders if we had 7 players that did not want to break into 3 or 4 player groups. We tied this option and Carcassonne was used for 8 players one night and 7 another. It did not add significant time to the game time as we encourage players to draw tiles while previous player is laying their tile. This speeds up the game. I have played this game many times. Last night I saw a new path to victory. One player only took level 1 cards with no victory points focusing on getting the gem cards to get the noble cards. They only took point cards when they had the gems cards that matched the requirements. Then when all the nobles were gone they went after the level 2 and 3 cards for victory. They won 2 games in a row with this strategy. Trey took 3 of 4 novels in one age and all 4 in the second day. The other strategies I have seen is reserve the cards you want using the gold strategy to reserve them. Building an engine of gems to just grab everything in site.Finally just react to what cards come up which I call dumb luck. The order the cards come affects all the above stratifies and often any strategy is blocked by luck of the draw. Have a plan but be flexible and react to the cards. Since attacking other players buildings has little to no effect on the game when we play with children or non aggressive people we eliminate the ability to attack other players city. When using the house rule we discard any card about attacking other players and draw a new one. If you did include attacking another player their building/card is only affected until they use a die to remove the disabled marker. The only time this would affect the outcome of the game is if two players needed to complete a row and thereby end the game one could block the other but if they had an unused die they could remove the block on the next turn. Again no affect on the outcome. Each week I roll the dice and send a photo of the rolled dice to all my grandchildren. They write their stories and reply all to the email. Each week I ask for some comments on different topics. It gets us to communicate better and have fun playing together even though we are in different cities. The grandchildren range from 10 to 15. They love the game. It is also fun for me. I just purchased the expansions and will be mixing them over the next few weeks. Teaching Cinque Terre to some family members. Sikosis, Two great games I love Cinque Terre but have not been able to play Viticulture but have seen it played at my meetup game group. Congratulation on being featured and having two great favorites. Playing The Settlers of Catan and El Grande. Ragu I am glad to see you have so many games in you wish list and I hope you are able to get them over time. I love Apples to Apples as you can see by my review it has a special place in my heart. I have not played Legend of the Five Rings. I will be checking to see if any members of my gaming group have a copy so I can get to play it. I will be playing Blueprints and Coloretto and Story Cubes. R2-D2 I loved you review on Pathfinder: Core Rulebook. Congratulations on being selected to share some of your favorites with the rest of us. I own Settlers of America – Trails to Rails and enjoy it. However I find it is hard to get it to the table at my meetup group. Story cubes with grandchildren remote. Blueprints and Lanters with my wife. I have been playing game for over 60 years. It keeps me young and active. My gaming is done with my weekly meetup group, my senior citizen friends and my grandchildren and family. The first serious game I played around 13 was Tactics II that came out in 1958. Before that it was Sorry, Clue, Monopoly and others. I was a big fan of the 3M series of games in the 60s and 70s and own most of them. I got involved in Euro Games about 5 years ago when I retired. I own over 200 games a lot of which are not listed on this site.